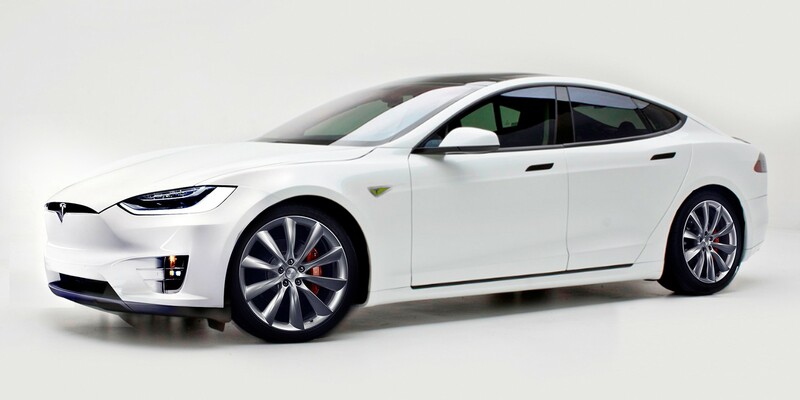 Since the reveal of the Model X in September, there’s been a persisting rumor that Tesla will give the Model S a “facelift” in order for it to have the same front-end as the Model X – as seen on the rendering above. We normally don’t cover rumors with little to no source, but this one makes some sense and has been persisting long enough to be worth mentioning. The Model X’s front-end takes some getting used to, but I personally warmed up to it. It offers a clean and simple look, which doesn’t catch the eye and therefore accentuate the rest of the vehicle. Considering the redesign could be a “light” one and that the Model S will have been in production for almost 4 years in the spring of 2016, it wouldn’t be too surprising to see Tesla going forward with it. The timing would also coincide with the expected integration of second generation Autopilot hardware, which could potentially be facilitated by a redesign. The rumor first surfaced after someone reported on the Tesla Motors Club (but the post apparently has since been deleted) that a Tesla service advisor told him the redesign was coming for around or after the unveiling of the Model 3, which is expected for the end of March 2016. Again, the rumor is unsubstantiated at the moment, but it’s still an interesting exercise to think about what could be included in a redesign, if it were to occur. Aside from the obvious Model X front-end, what else do you think Tesla could redesign and/or borrow from the X?